This efficient automatic blocker, designed for higher volume applications, is a “hands off” unit, which eliminates operator variability. 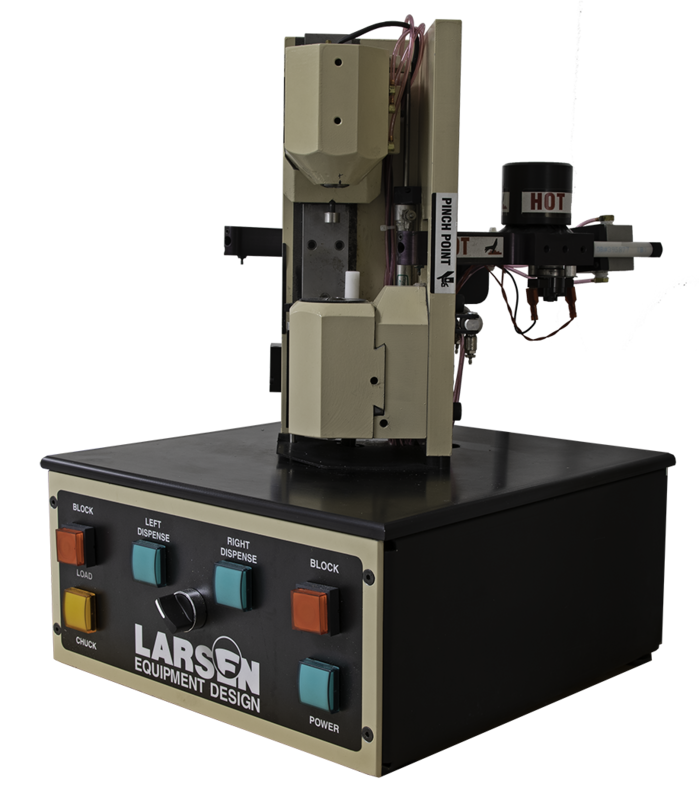 Wax/pitch dispensing is precision-controlled, as is wax thickness. The compound is continuously mixed to keep it homogenous, ensuring an accurate, repeatable pitch/wax application. The innovative technology is based on safety and repeatability, so the blocker automatically closes the collet and seats the blank, with a safety interlock for operation. The blocker, with four alignment axes, is designed to deliver long-term precision for spherical and prism lenses. It can be used as a prism blocker with cylinder axis layout, and it easily adjusts for button tilt and radial run-out. It requires only a single calibration at setup. The smart air-actuated, pressure-controlled collet automatically adjusts to any standard 1/2 blank at consistent pressure without warping or crimping the lens. A digital gauge measures to .001 mm with uninterrupted memory. The durable cast iron construction assures stability of operation. Custom models are also available. Click here to download the setup tutorial for the Automatic Blocker.